Before I get too far into the review, I’d like to make note of a few things. Return to PopoloCrois: A Story of Seasons Fairytale, for those unaware, is actually a crossover between the Story of Seasons (previously Harvest Moon), and PoPoLoCRoiS series (as opposed to being exclusive to the Story of Seasons franchise). While Story of Seasons has enjoyed quite a bit of success worldwide, the PoPoLoCRoiS series has been one of almost complete Japanese exclusivity, with only one other title (PoPoLoCRoiS for the PlayStation Portable) being released outside of Japan. 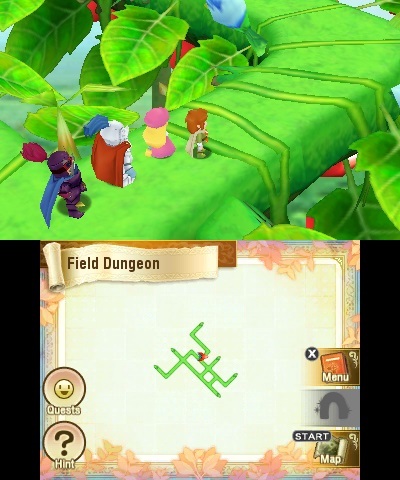 Every game in the PoPoLoCRoiS series follows Pietro, the young prince of Popolocrois, on his journeys to save both his land and those who inhabit it; happily, this crossover is no exception and even goes so far as to explain what has happened in the PoPoLoCRoiS series up until now in order to prevent players form feeling lost or disconnected. 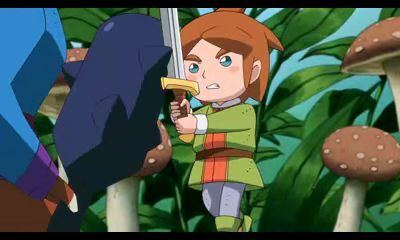 Return to PopoloCrois: A Story of Seasons Fairytale begins on Prince Pietro’s 13th Birthday and, while the day should be a happy one, all is not well in Pietro’s homeland of PopoloCrois. Mysterious pitch-black monsters known as “Black Beasts” have started showing up around PopoloCrois, wreaking havoc wherever they appear. Fearful of what may become of PopoloCrois, the King summoned for a diplomat from Galariland; a mysterious and faraway kingdom that had previously, and successfully, dealt with the Black Beasts. After her arrival at Pietro’s Birthday party and further discussion with the Royal Court of PopoloCrois, the diplomat, Marmella, reveals that the only way to defeat the Black Beasts is with a special incantation; one that can only be learned in Galarliland Upon hearing this, Pietro volunteers to go. While this initially was met with some resistance, Marmella eventually helped to sway everyone in the court. 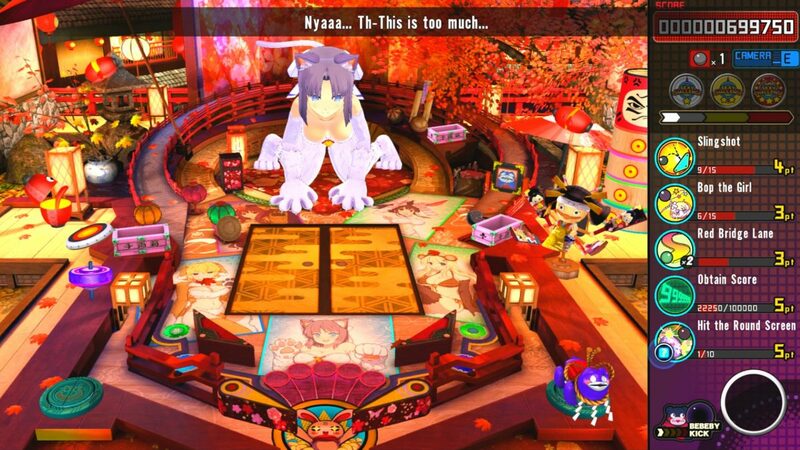 As Pietro is being transported to Galariland via magic circle however, Marmella reveals her true intentions; to take over PopoloCrois with the Black Beasts that she herself had been making! Though he was now privy to her plans, it was too late; by the time she had finished revealing her plans, Pietro was already on his way to Galariland. Alone, afraid, and desperate to return to PopoloCrois, Pietro sets out on his newest adventure across the lands of this unknown new world. 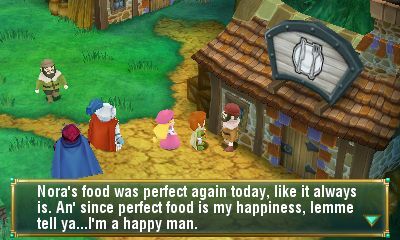 The gameplay found within Return to PopoloCrois: A Story of Seasons Fairytale is about as varied as you can get. Though the story revolves around Pietro and his journey to get back to his homeland, the sheer amount of activities within this game may make you forget what you originally set out to do. First and foremost, this game is an RPG. Outside of boss battles, combat occurs in the form of random encounters meaning that you cannot see the enemies walking around on-screen. Rather, the game will automatically and randomly initiate battles as you progress from place to place (though there are plenty of places such as farms and towns that are enemy-free). The combat itself follows a rather classic turn-based formula, but adds a small twist. Rather than having every character stay in one place, both allies and enemies are allowed to move around on the field during their turn. While some actions have a large range, many can only be performed when near another character. While it may take some getting used to at first, the formula makes sense and is very easy to get into. This simple addition to the formula gives battles a slightly more tactical feel, and enhances combat overall. Defeating enemies nets you experience points, money, and, if you’re lucky, items. The combat may not provide anything in terms of innovation, but it doesn’t need to; it’s a perfect example of how classic RPG elements work just as well today as they have ever worked. While combat is quite essential to gameplay, Return to PopoloCrois cannot be completed through monster-slaying alone. Farming is also essential to the game. You read it correctly, don’t worry; along with fighting for his life, Pietro & Co. will also spend their time watering crops, and raising animals. The farming aspect is a bit simplified compared to the main titles within the Story of Seasons franchise (as it should be considering that it’s not the only focus of the game), but still stays incredibly true to its roots. Growing crops still requires players to lovingly till the land, sew the seeds, and stay on top of watering crops as they grow. Animals also need plenty of love and attention; making sure that they have enough food and are happy and healthy is important if you want to make a profit off of them! Fear not however, animals don’t get sick and die like they do in the main games; the game is always aware that farming is only part of the package. Pietro’s farm does start out quite small and, if we’re being honest, decrepit, containing only two tiny plots of land on which to grow crops and absolutely nowhere to raise animals. 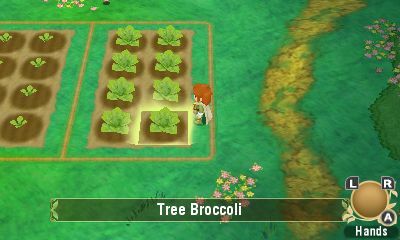 Farms also cannot be expanded in the way that fans of previous Story of Seasons titles are used to. You cannot merely farm, make money, and buy expansions. Rather, Pietro’s farm naturally expands throughout gameplay, and entirely new farms are acquired as well. Though at times the need to juggle aspects from two entirely different genres can get daunting, Return to PopoloCrois does a fantastic job of blending the two quite seamlessly. Leveling up, acquiring new skills and equipment, and beating bosses leads to more farming opportunities. On the other hand, farming allows you to acquire money and new items, and provides a relaxing change in pace. The two major aspects of the game feed off of one another constantly, and do so quite well. Item synthesis also makes an appearance in this game, and boy is it a perfect fit. Crops and produce harvested from your farms, as well as materials gathered from gathering points and those dropped by defeated monsters, can be synthesized into all sorts of new and useful items that can be used in many different ways. Synthesis also helps keep the farming aspect fresh and exciting. Seeing as how you can get money from defeating monsters, the urge to sell veggies and produce for profit is a bit less enticing in this game (although you can still make some major money off of it). The ability to turn the items acquired through farming into healing items and even equipment, however, does an amazing job of making you feel as though you’ve never quite done enough farming. In fact, it’s pretty easy to get sucked into an endless cycle of farming and synthesizing. It’s true that Return to PopoloCrois: A Story of Seasons Fairytale has turn-based combat, farming, and item synthesis, but it doesn’t stop there. There’s also a bit of a dating sim aspect. Throughout the journey through Galariland, Pietro will come across certain girls that have been blessed by the goddess of Galariland herself. Forming relationships with these girls by both talking to them plenty and showering them with gifts will pay off with extra events and cutscenes, and can even net Pietro some exclusive items. Beyond that, watching the bonds develop between Pietro and his new friends is honestly quite enjoyable. Return to PopoloCrois does a fantastic job of showing that not every relationship with a girl has to end with something deeply romantic. 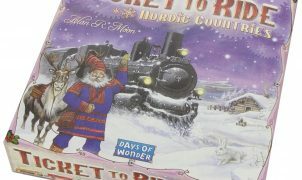 Rather, the game opts to head toward the realm of forming deep and intimate friendships. Sure, there’s a fair share of giggling blushing that goes on, but not every conversation focuses on that. Aside from that, the interactions are absolutely adorable to watch and have an air about them that is both wholesome and uplifting. Seriously, I dare you not to smile. The voice acting within Return to PopoloCrois is one of the very few problem areas present within the game. Ironically, the voice acting itself isn’t the problem. On the contrary, the game has a great cast of voice-actors, all of whom fit their respective characters incredibly well. Rather, it is the timing of the voice acting that is the problem. Rather than having entire scenes voice-acted, the spoken lines tend to cut out. Characters will inexplicably go from voicing every written word, to saying something such as “yeah!”, to not actually speaking at all, and back to speaking every single word all within the same cutscene (with Pietro being especially guilty of this). Try as I might, I can’t figure out why some lines were given voice acting and others weren’t. There literally doesn’t seem to be any reason. It seems choppy and random, and it takes away from some of the charm of the game. I completely understand not having every single line spoken, but the way in which spoken dialogue occurs within this game is a bit maddening. Oddly-timed voice acting aside, the rest of Return to PopoloCrois: A Story of Seasons Fairytale is pretty good audio-wise. From twangy country farm music, to hyped-up boss battle music, the game has a lot to offer musically. It’s definitely not a game to play with your volume down. If the visuals found present within Return to PopoloCrois: A Story of Seasons Fairytale were based on a single word within the title, it would most definitely be “Fairytale”. Both the characters, and the world itself are drawn in a fittingly-cutesy style that borders upon, but does not cross the line into being “chibi”. 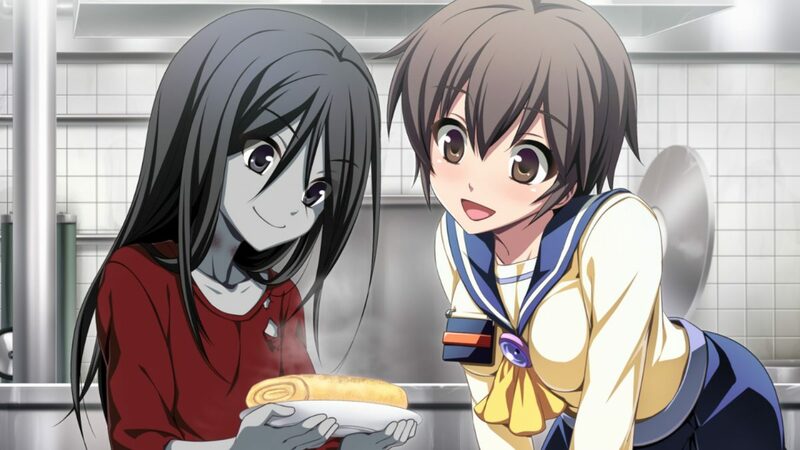 The charming way in which characters are displayed and act fits perfectly along with the theme of the story; mostly cute, but capable of believable seriousness when needed. All-in-all, Return to PopoloCrois: A Story of Seasons Fairytale is a game that I would recommend to any and all 3DS owners. 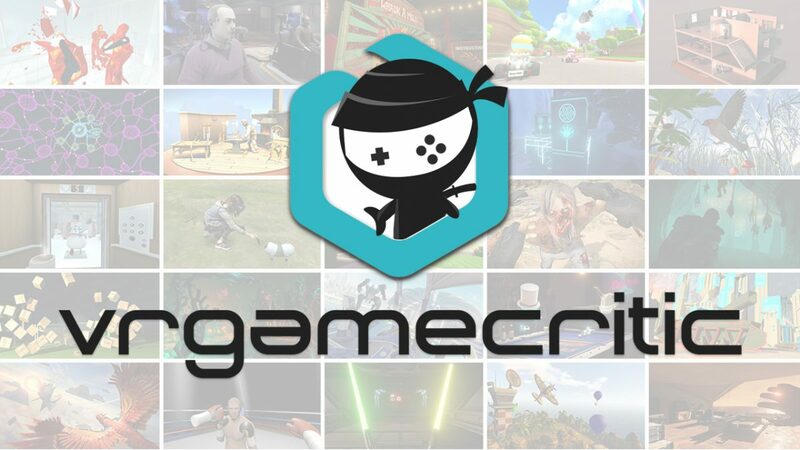 It isn’t often that a game sets out to mash several, completely unrelated genres into one entity and succeeds, but this game has definitely done it. There are so many different activities packed within Pietro’s latest adventure that not finding at least one aspect of the game to fall in with is nearly impossible. Full disclosure: This review was written based on review code supplied by the game’s publisher, XSEED Games.